Timber greenhouses repair and restoration..
Bespoke wooden greenhouse styles and designs and their repair. There are essentially two distinct groups of timber greenhouses that we come across. Custom built greenhouses designed specifically for a client. They can be all sorts of shapes and sizes or built for a very specic purpose such as a 'Vinery' or 'Orangery'. Timber greenhouses produced commercially in standard designs, purchased from a manufacturer either direct or perhaps via a retailer such as a garden centre. 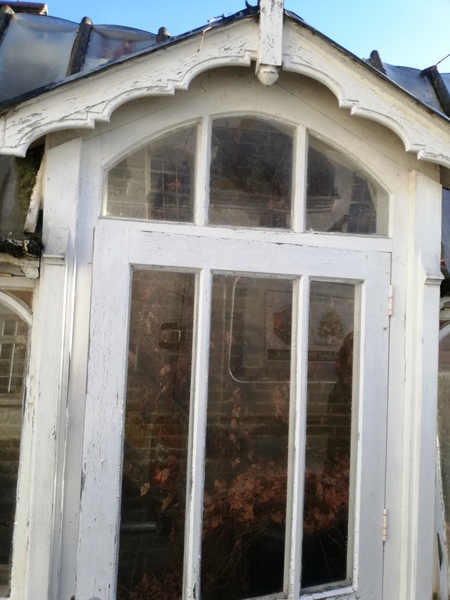 Makes such as Alton Greenhouse and C H Whitehouse are most common but we can repair or restore virtually any type. For More information click here for the 'Greenhouse Repair Cedar' page. Inevitably timber greenhouses will need to be maintained or for older building, they may need to be restored. In both cases The Evergreen Workshop has a lot of experience of bringing both types of buildings back to full working order. 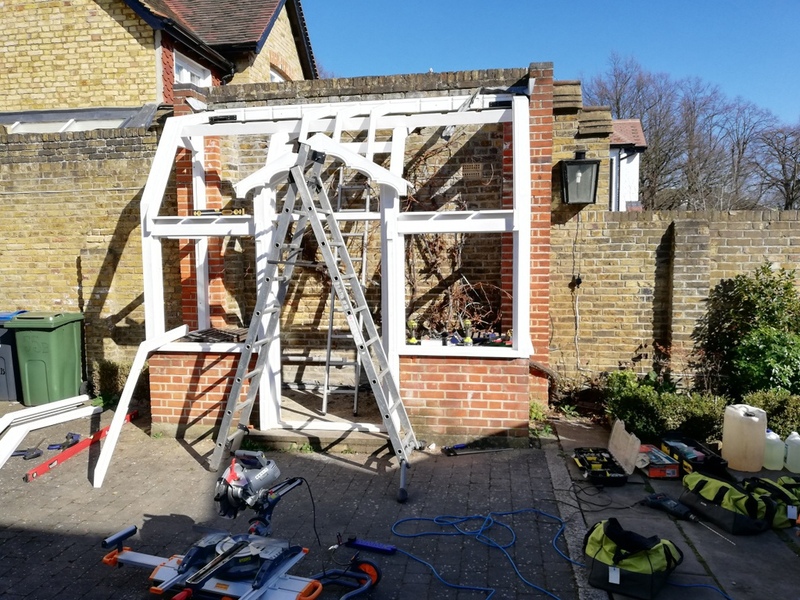 One of the benefits of timber buildings is that they are infinately repairable and we have worked on some buildings that are almost 100 years old and still working hard. We can also restore or repair aluminium greenhouses, including cleaning and repalcement glazing. 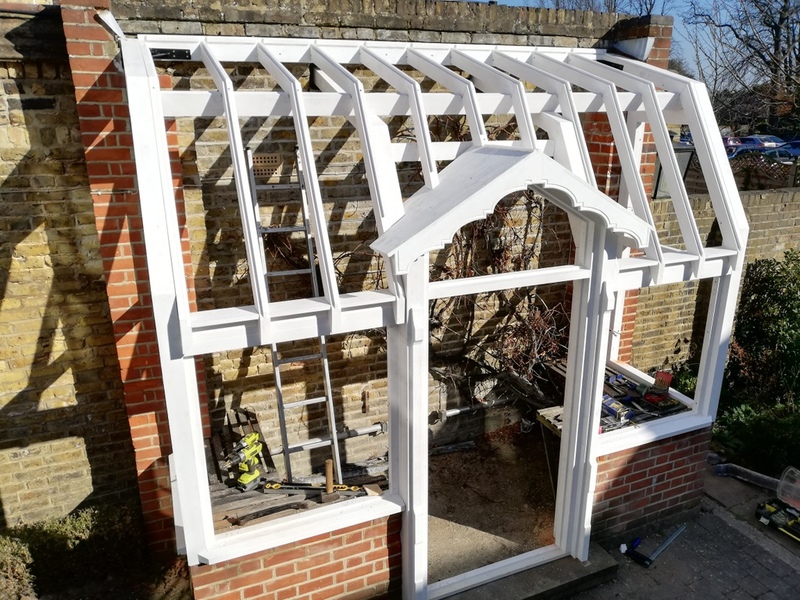 Bespoke or vintage greenhouse restoration work. Tucked away in many home arpund the country are some beautiful old greenhouses that often homeowners inherit which a house purchase. Some follow traditional form such as here with a conventional apex greenhouse on an unuual stone dwarf wall. Others are larger and perhaps grander, harking back to a time when growing fruit and vegetables at home was an important part of life. As all greenhouse owner know there are maintenance issues that need to be addressed. Also new owners who have 'inherited' older buildings may find them is less than perfect condition,either needing repair or perhaps a full restoration. 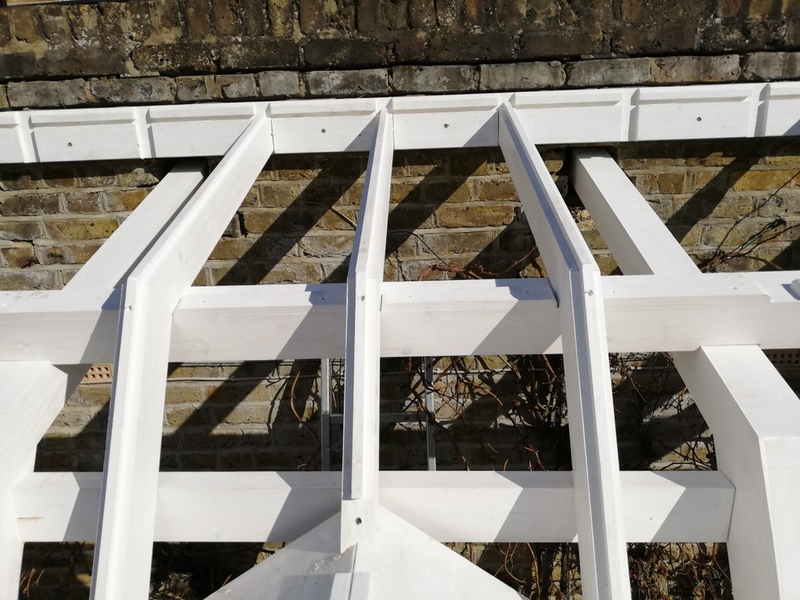 The Evergreen Workshop can repair and restore most of these greenhouses and has many years experience in working with what can be quite fragile and often unique examples of the garden building craft. We are always happy to come out and discuss what can be done and this is always without obligation. We always look to produce an accurate report and proposal for work that we feel should be undertaken and we provide a quotation after discussion, based on what you the client and we feel is the best solution. We can repair or reproduce almost any style and design either in part or as a whole and we undertake all the work ourselves. Below are a couple of examples of some that we have recently undertaken. This unique building was located in the front courtyard of an old stage house that previously was part of a large estate. Built when the stage house was sold off and converted to a residential property it dated to the 1920s and still had its original grape vine growing within. There was extensive damage from rot in the frame and insect damage. The glass which included inserts of coloured glass was heavily stained due to poluution. So much so that it had etched into the glass and could not be cleaned off. 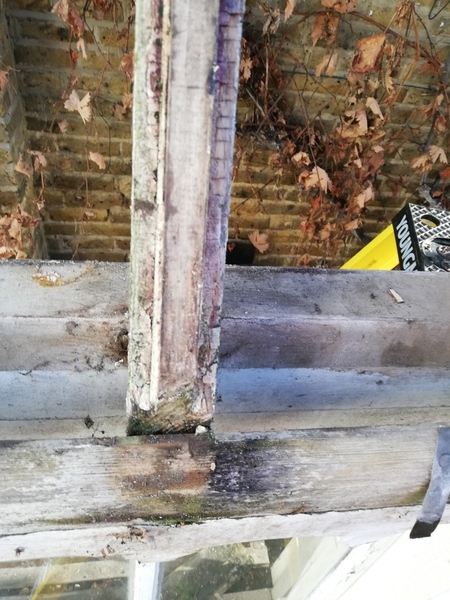 Bodged repairs over the years mean't that rotted timber had been filled with concrete or cut out and never replaced. Many windows had been nailed shut and pieces of plastic stuck over broken glass. There was a decided lean to the building as the right hand side started to fall in on itself. This mean't the door couldn't be opened properly and so the building and the grape vine had been left to its own devices. The client was keen to see it saved and restored. The building was carefully taken down so that the details could be replicated. Parts were then transported back to the workshop and the restoration undertaken. Once again the 'Vinery' nurtures its grapevine. 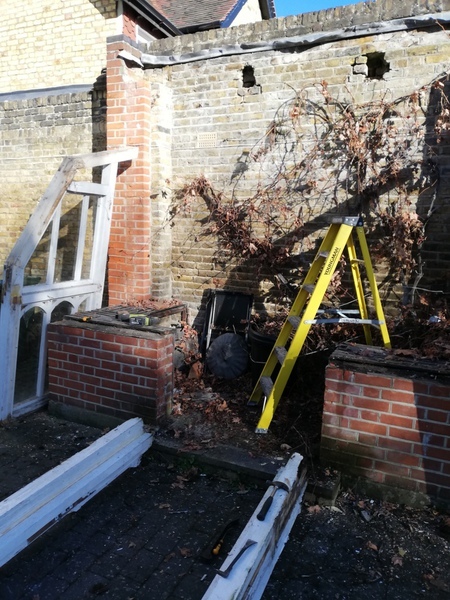 An alternative Project : Greenhouse rebuild. When creating this website we tried to show the full scope of the work we undertake. 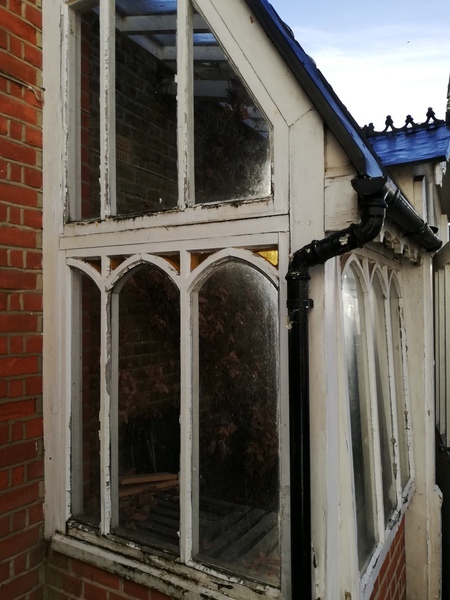 In this case we didn't take on a 100% replacement, Instead we were commissioned to deal with some very specifc problems with an existing greenhouse. 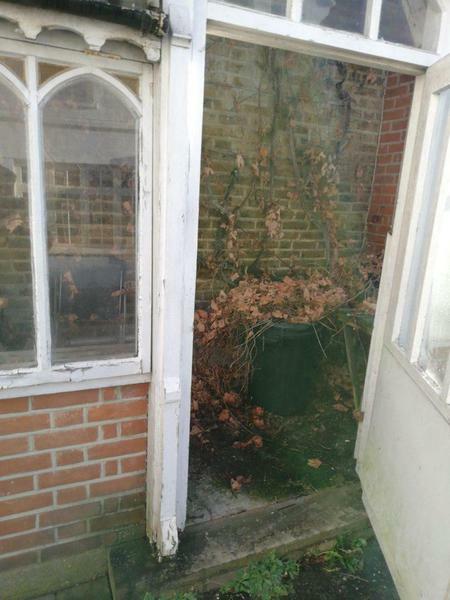 The client in this case had inherited with the purchase of their new home a very old greenhouse. 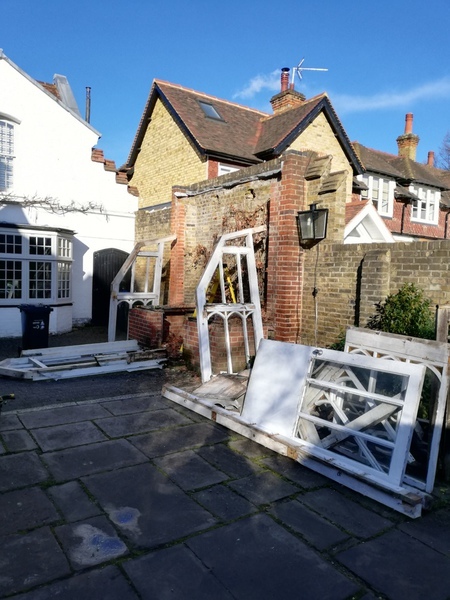 The original walls date back to the early 1900s but the timber framework was a later addition perhaps 1970s, replacing an older frame that had probably rotted away. 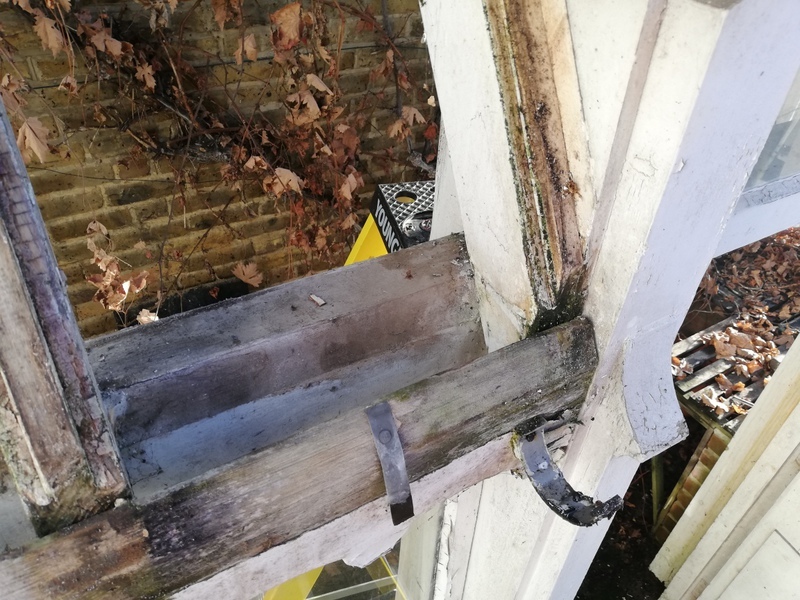 The crux of the issue was that the newer timber work was seperating from the wall and the glass especially on the roof was sliding off especially after a storm or high winds. The client had tried several times to deal with the problem and had also engaged numerous trades people to stop the issue. Whenw e arrived we found the glass had layers of mastic bonded on to them, Nails everywhere and new capping strips all of which had failed. The front wall section was also leaning forward at an alarming angle as the roof pulled away from the wall and pushed it forward. Unlike the previous work little photagraphy was undertaken as a record of work progress, simply because the client was on site everyday to witness the work. However we sripped the whole buildings roof off. and cleaned back all the glass. The leaky roof had caused the rafters to rot and so new rafters and a completely new wall plate was installed throughout. The wall plate is the link between the roof rafters and the brick wall. All the timber was pressure teated and painted to match the exterior. Before replacing the glass the interior including the walls were repainted and repaired. to complete a full refurbishment. The front frame was pulled back upright and secured in place. Doors and windows now opened again, new shingle was laid in the pathway and the terracotta tiles in the lower room were set back in place. 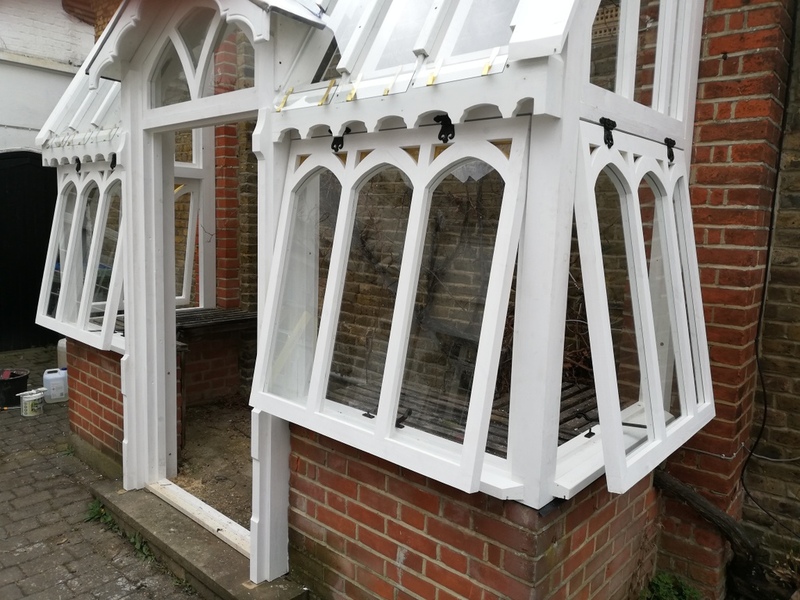 The brickwork was repaired and the glazing reinstalled using custom made secretly fixed stainless steel straps that attach the glass panes to the rafters. The intersection with the wall included new lead flashing and the rafter caps were cleaned and reused. the bench was made from the old benches and timber salavged from the greenhouse and painted to match. 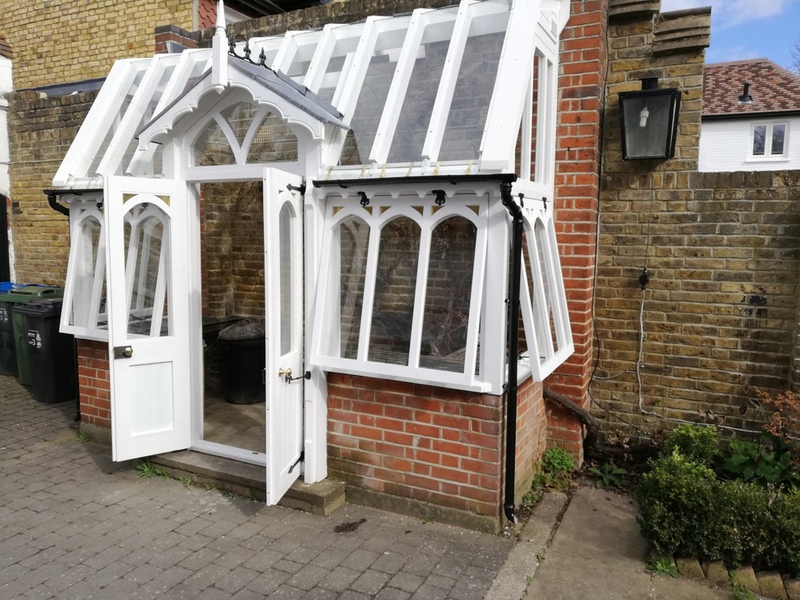 There has been a greenhouse in this position for well over one hundred years and today it is back working as intended and appreciated by the client. 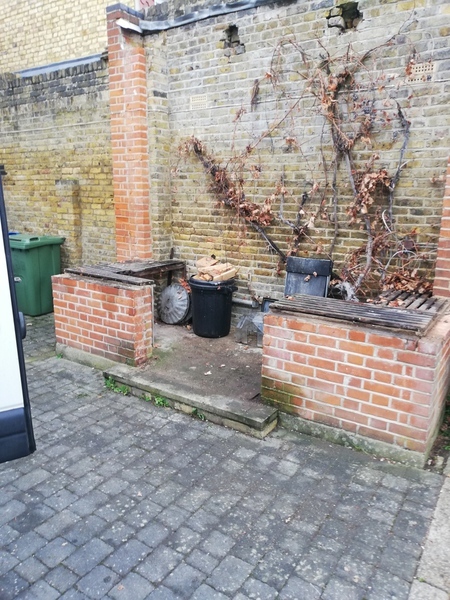 It is worth noting that the client was avery keen amateur gardener and a lot of the produce she grew she sells for charitable purposes. The greenhouse plays a key part in this. 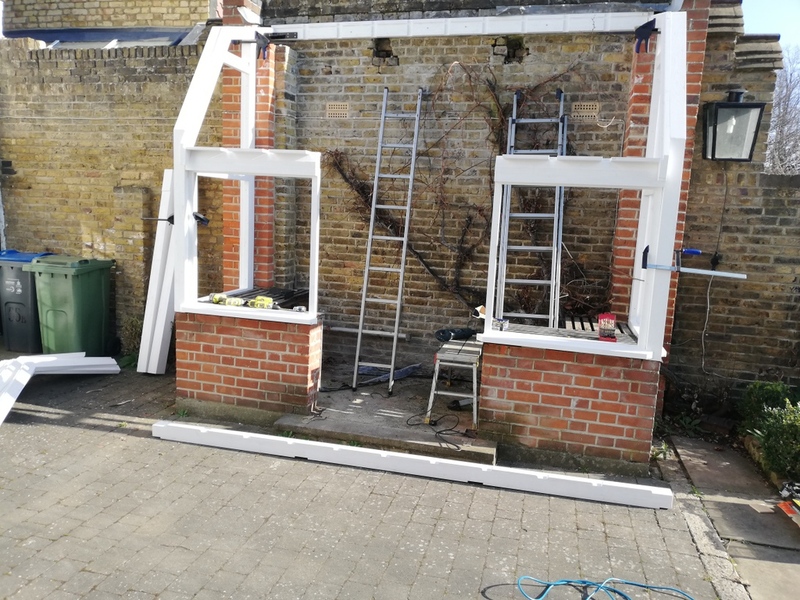 The clients reaction, well just days after we finished we had a violent overnight storm with 70mph winds and she said that for the first time in 10 years she looked out from the windows of the house and NOTHING had moved..As she put it, it is like having a brand new building. 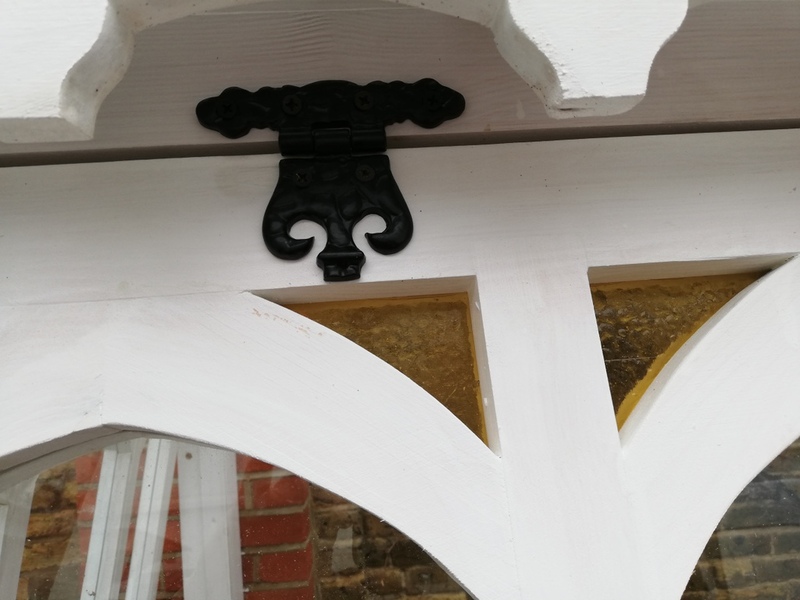 These are just a couple of examples of the work we have undertaken, we hope to show that what we do is sympathetic to the original structure but is also based on best practise and quality material. These buildings deserve better than the bodged attention of a local handyman and when dealt with properly can give decades more service and add value to a property.